Gregg is a known as the agency extraordinaire and a pioneering expert in the emerging Employee Experience field. He is a seasoned speaker and thought leader with over 75 successful events he’s presented at from OMMA, IAB, Ad Tech, CES, Advanced Learning Institute, Digital Hollywood, Engage, RISE Retail Symposium, and many more. Gregg also regularly contributes on Forbes.com as well as the highly trafficked Vignette blog. His passion lies in his interest around continuous improvement, helping to bring innovation to HR & Internal Communications professionals, enabling them to activate employees through powerful employer brand engagement; making his client’s the employer of choice. Conference and event organizers and attendees regularly comment on the nature of the progressive, practical, and actionable “takeaway” style of Gregg’s presentations. He is equally comfortable leading small groups in a workshop format as on the stage presenting to large audiences. His progressive take on the employee experience, culture, employer branding, communications, data and insights, marketing strategy, talent management, and all things marketing and communications make him a great option for those wishing to bring in an expert they can count on to deliver tailored industry insights and inspire audiences. Gregg brings over 20 years of experience ranging from customer experience and consumer marketing, data-driven digital marketing, and technology, to reshaping how companies engage employees and recruit top talent. 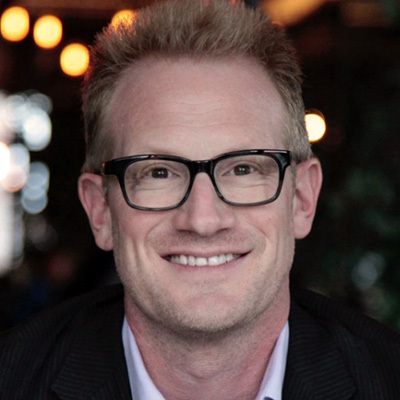 Gregg is the Managing Director of Vignette, The Employee Experience Agency™. Over the years Gregg’s leadership and combined experience drove growth, profitability, and delivery of innovative experiences and business outcomes for brands like GE, Microsoft, Coca-Cola, Target, Verizon, OWN, Sony Pictures, NBCUniversal, Johnson & Johnson, HSN, Ann Taylor & LOFT, Nike, and Reebok.